Dennis Driscoll, techno-gumshoe! 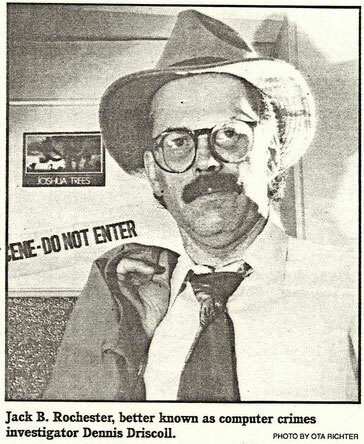 He was the first computer crime private eye I know of. Or at least whom I wrote of. Raymond Chandler would have liked his wry, ironic way with the world. Dennis had an office on the second floor of this Flatiron-shaped building in Inman Square, Cambridge, which was actually the office of Dan Edson, a fellow writer friend of mine. One of my favorite scenes in the first novel was when Dennis slugs a creep, knocking him down the stairs onto the Broadway sidewalk. WHAM! POW! OOOF! 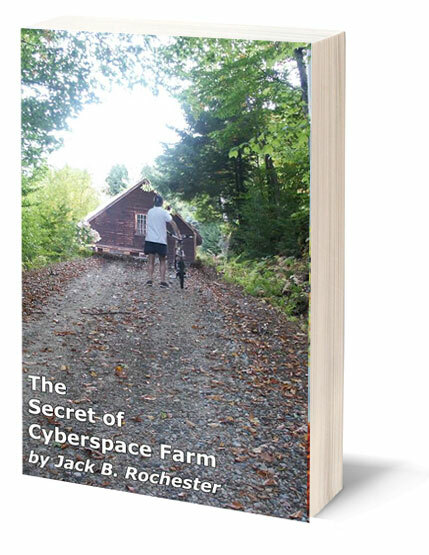 I wrote half a dozen Dennis Driscoll adventures; my favorite is a novella, The Secret of Cyberspace Farm, which you can enjoy for just 99 pennies.